One of the primary threads here at RJsCorner is my InSearchOfAmerica posts. That is where I travel around this great country to find stories and take pictures. The majority of this search has been about our early days as a nation. I recently realized that I am omitting a large part of this search for America’s roots. It actually occurred centuries before the European conquest of America. If I want to discover the real America I have to begin there. History books give us a several different view on this fact. The prominent recorded view was that native-Americans were not really human because they did not pray to the right god. Others basically said the “indigenous” people, were not real people but savages. We are now finally beginning to understand the utter fallacy of those words. 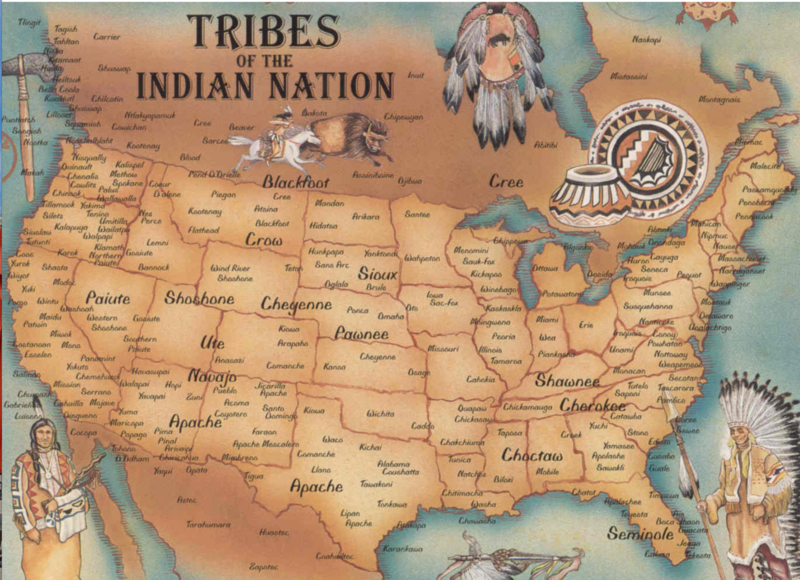 Getting back to the topic at hand, we know that there were, as shown in the picture above, thriving population centers throughout what we now call America. Many had very sophisticated forms of government and rules for society. And yes, many had deities quite similar to the one Europeans brought with them. What they didn’t have were the weapons to withstand the onslaught that followed. Since I am about one-eighth Shawnee I am embarrassed that it took until now to recognize these facts. In reality, America was not discovered in the 15th century but instead invaded. I need to do some future posts about this. Shame on me for not doing them sooner. Good morning Judy, yeah I want to a DNA test sometime to verify my native American heritage too. I was just told by my grandfather many years ago that his mother was a Shawnee squaw. On the wee hours posts, I use WordPress as my provider and they let you set a post date in the future. Most of my posts are scheduled at least a week in advance and I edit them through that period. I have about 40 items in my “draft” pool of which about half will make it to a post. Totally agree. Go for it. I think, from my reading, what you will find is that much of the treatment of the indigenous people was a “land and resource grab” justified by them not being real people. Just our version of European colonization. It is our apartheid. This country has a dark and ugly history that we refuse to confront. Hi Bob, I am pretty familiar with the conquest of native-Americans and the justification for it but what I need to investigate more is the pre-Columbian period. I have been to Mesa Verde in Colorado several times now and a couple of years ago I visited an Albuquerque Navaho museum but that is about it. I have a book showing hundreds of other sites in the country. It’s about time visited more of them. It’s pretty new and small. A stop on your way to somewhere else maybe. Not been there but might be interesting with a local Indiana interest.